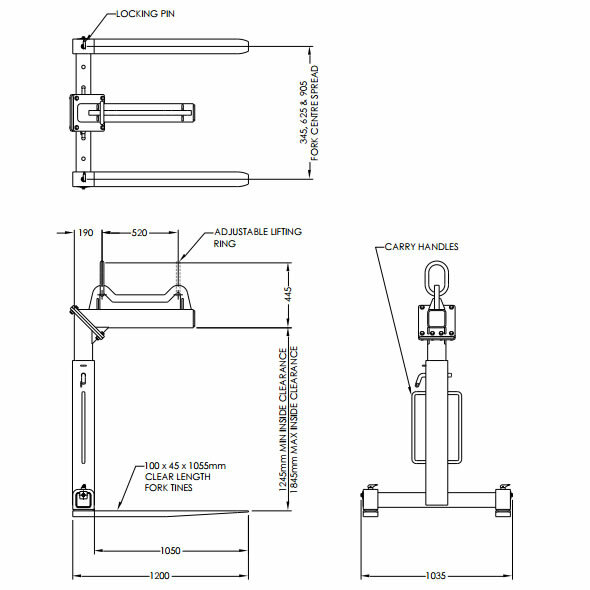 This 2000kg pallet hook is ideally suited to the transport and construction industry for the lifting of pallets using a crane or HIAB. 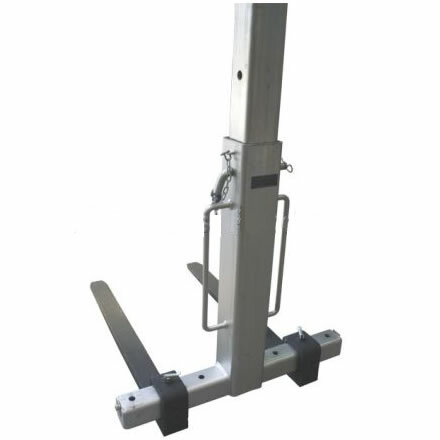 Load balancing is easy by moving the lifting ring, using the attached handle, between rear and forward positions. If using a truck mounted crane the operator does not need to manually move the ring, they can simply re-position the crane to alter the load balance. 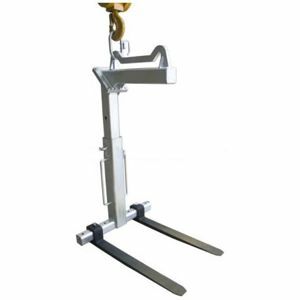 Adjustable body height and also adjustable forks allow for different sized pallets to be lifted. Working Load Limit (WLL): 2000kg. Tine size: 100 x 40 x 1050mm clear tine length.